Book a physiotherapist appointment at Family Physio in Papamoa below. 2. If we think we can help you, we will let you know how. Family Physio Papamoa are the family specialists. 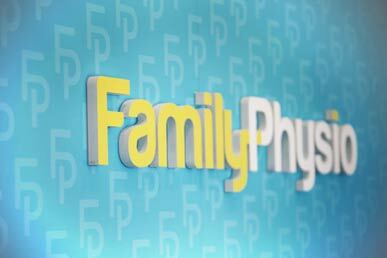 Our Physiotherapists are proud to focus on Family physical well being and we won’t stop until your back to your best. Are You Frustrated By Injury Or Pain? Specialists in headache treatment, sports injuries such as achilles pain, shoulder pain, tennis elbow, golfers elbow, lower back pain, neck sprains, golf injuries, sciatica, antenatal and postnatal physio… the list goes on and on! In Family Physio’s boutique gym we offer personalised post surgical rehabilitation programmes for Total Hip and Knee replacements, ACL reconstructions, rotator cuff repairs, spinal surgery, ankle and elbow surgery and many more. We then follow this up with a detailed on-line home exercise programme, with pictures and videos of your exercises that are tailor made for your recovery. Our mission is to provide quality physiotherapy based around family values of integrity, honesty, trust and caring. Looking at the whole picture and improving your quality of life from the very first session at Family Physio Papamoa. Our Physiotherapists are highly trained, motivated and dedicated to getting you fast and long term results. 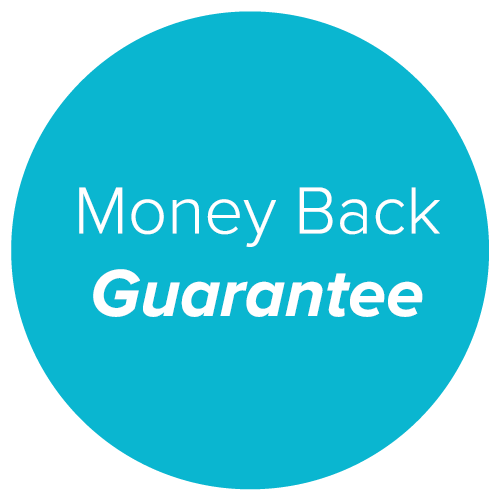 Family Physio Papamoa offer a 100% money back guarantee if you are not happy with the quality of the service provided. Kick Pain to the curb! We will get you back on track from your very first session. Family Physio Pamamoa offer a 100% money back guarantee if you are not happy with the quality of your initial appointment. Kiwis are lucky to have such a supportive system as ACC in New Zealand. It makes receiving treatment after injury very accessible. If you are unsure if you qualify for ACC funding, this section will answer some of those questions. We don’t want you to miss out on sport, we hate that! Our physiotherapists will do everything they can to get you back on the pitch, road, field or water as fast as possible! We specialise in sports Physio and take pride in helping the local Papamoa Sports groups. When your headache free, the whole world looks different. Our natural, medication free approach is based on cutting edge techniques learnt from the Watson Institute for Headache treatment. If we haven’t changed your symptoms in 4 sessions we will sack ourselves! Spinal pain can be so concerning, it is essential that it is treated carefully by someone with sound knowledge and skill. We pride ourselves on safe effective assessment to understand you injury and get you on the right treatment path fast. Surgery can be scary but it’s the long drawn out rehab that is the silent killer. Get the most of your surgery with focused, attentive rehabilitation with Family Physio. We understand what is required after surgery to get you back to your best. Running, cycling, golf, gymnastics, posture, muscle balance assessments. We have something for everyone in this section. Click here to find out more. Life changes so fast with young ones in the mix. Get expert advice from our physios that understand how your body changes during and after pregnancy and how to return to exercise and move about safely. We can all do better when it comes to posture. But sometimes its nice to know how to change and have some strategies in place to help us do that. Give yourself the best chance to improve your posture with a PIP assessment. At Family Physio Papamoa we pride ourselves in offering our patients the latest technologies to help you achieve your outcomes. To create your tailored exercise programs we use a brand new app called PhysiApp. PhysiApp lets you complete your prescribed exercise program by following crystal-clear, narrated exercise videos. PhysiApp is completely free to download from the App store and Google Play store or can be accessed via your browser. Built-in reminders help you to stay on track towards a better you! Family Physio are the family specialists. We are proud to focus on Family physical well being and we won’t stop until your back to your best. Family Physio Papamoa’s also specialise in headache treatment, sports injuries such as achilles pain, shoulder pain, tennis elbow, golfers elbow, lower back pain, neck sprains, golf injuries, sciatica, antenatal and postnatal physio… the list goes on and on! In our boutique gym we offer personalised post surgical rehabilitation programmes for Total Hip and Knee replacements, ACL reconstructions, rotator cuff repairs, spinal surgery, ankle and elbow surgery and many more. We also follow this up with a detailed on-line home exercise programme, with pictures and videos of your exercises that are tailor made for your recovery. Our mission is to provide quality physiotherapy based around family values of integrity, honesty, trust and caring. We look at the whole picture and work to improve your quality of life from the very first session.